Unfortunately, we all haven’t been blessed with the domestic prowess and entertaining skills of Ina Garten, whose summer dishes and parties are always Instagram perfect. 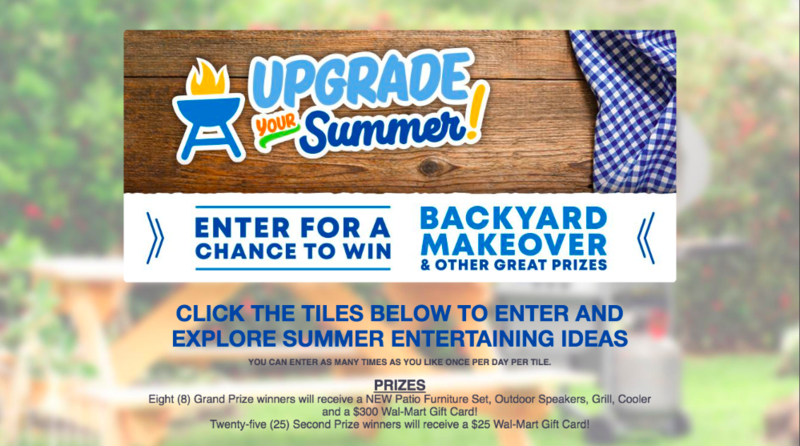 For the rest of us, Fuel Partnerships has launched a fun and educational new sweepstakes to equip us with a few basic tips and tricks that we can pull out this summer to upgrade our backyard entertaining. Fuel Partnerships has featured 14 retail brands that you can find in-store at Walmart, along with a sweepstakes entry form and unique tips tied to each brand. To add to the appeal, fans will have multiple chances to win by clicking on each brand tile each day. A few of the prizes being offered include, new patio furniture set, outdoor speakers, grill, and an assortment of Walmart gift cards. 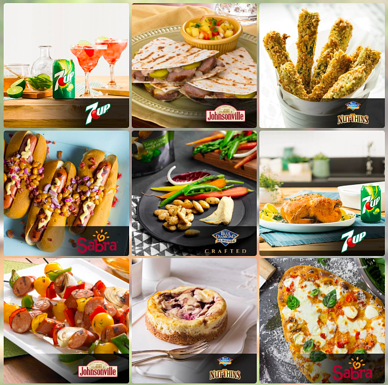 The great news, Fuel Partnerships decided not to limit entries, so fans have 14 chances per day to unlock the prizes and tips behind each tile for brands like, Blue Diamond, 7up, and Sabra. In addition to the sweepstakes, they are also featuring social media content being posted and shared using the hashtag #UpgradeYourSummer. Be sure to check out their sweepstakes and social content stream here before their campaign ends on June 30, 2018. Fuel Partnerships’ “Upgrade Your Summer” sweepstakes’ DCI score is a combination of an Engagement Score (ES) and Virality Score (VS). Their campaign is benefiting from the variety in prize and entry options, and brand partnerships. Have a clear call to action: One of the easiest ways to encourage engagement is to provide clear, specific guidance on how to participate in the campaign. Fuel Partnerships kept the ask simple, click a tile, enter a form for the chance to unlock a prize. We have discussed this tip before, but it is a simple step that can greatly increase the success of a campaign or sweepstakes. Lengthy directions or multiple calls-to-action may increase confusion preventing consumers from participating. Allowing multiple entries per day. Many campaigns limit consumers to only one vote or one entry throughout the duration of the campaign, but Fuel realized that allowing multiple entries per day per consumer would not only drive repeat traffic, but also repeat content and campaign-level sharing.